KORR® has developed the new “XD Series”, which features intense light powered by a new German Osram chip. 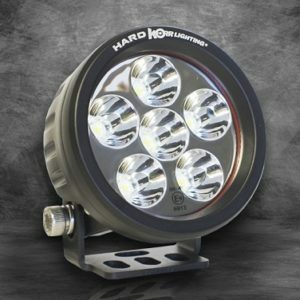 The new developments are backed up with the latest design in reflector technology, which then enables these lights to throw light twice as far, using half the power. Never has there been such dramatic gains in technology. LED Driving Lights are now as good, if not better than your HID Driving Lights. Wider, whiter, longer and less power than ever before, the “XD Series” Driving Lights will set the benchmark for performance and price. 1 LUX @ 440 meters. 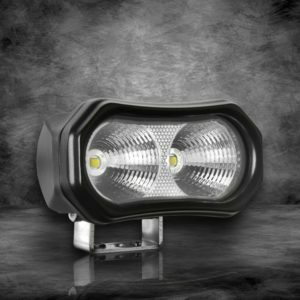 LED Power: 54W. 5400 Total Lumens. Operating Voltage: 11-38 DC. Waterproof rate: IP 68. 18pcs 3w high intensity OSRAM LEDS. Current draw:12V/4.5A；24V/2.25A. Color Temperature: 5500-6000K. Life time: 50000 hours. Material: High grade aircraft aluminium housing. Lens material: Polycarbonate lens. Mounting Bracket: Alloy. Combo Beam (spot & flood). Dimensions: (Height with feet = 72mm / Width = 820mm/ Depth = 70mm). Dimensions: (Height with end mounts= 80mm Width = 880mm/ Depth = 70mm). Weight: 3.0kg. Certificates: CE, RoHs, EMC, C-Tick. Wiring harness available. Deutsch connector included. 3 Year warranty.